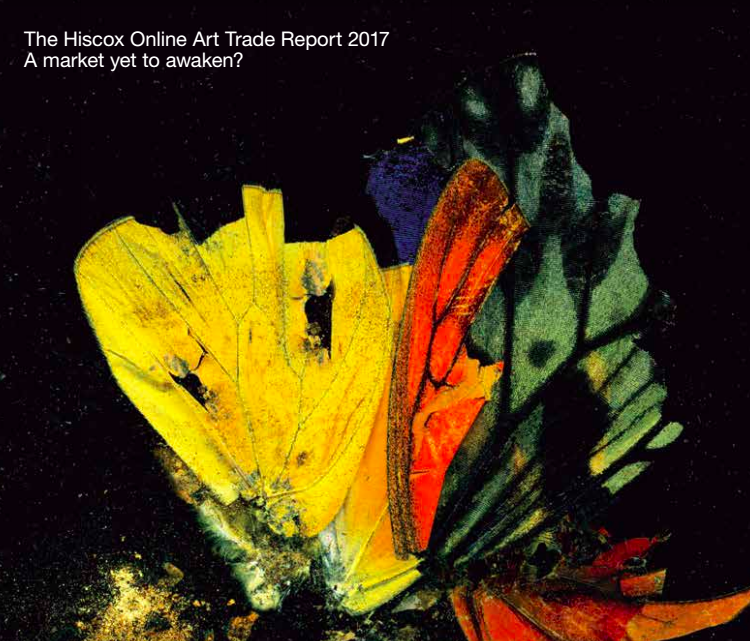 According to The Hiscox Online Art Trend Report 2017, online sales in the art market has risen by 15% compared to last year, with Instagram coming out as the most effective sales channel in social media and Barnebys becoming the fastest climbing online player in the world. 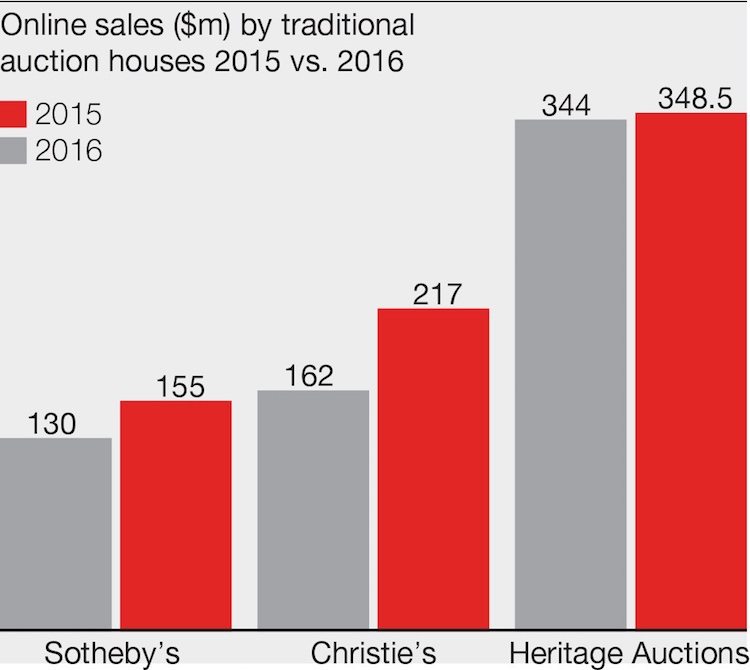 The Hiscox report, which examines the market in a similar vein to Barnebys own first Online Auction Report, launched last autumn, particularly focuses on the behavior of new buyers at auction. 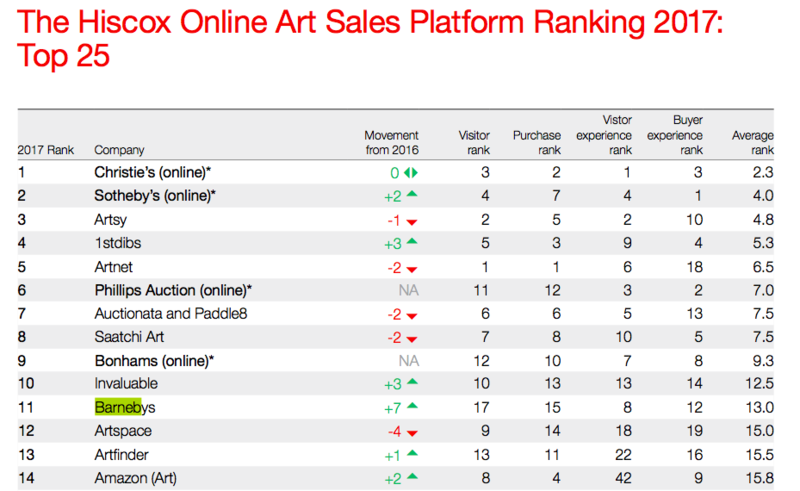 The Arttactic and Hiscox report indicate how the online market increased by 15% to $ 3.75 billion, which means that online sales now account for 8.4% of global art sales if we compare the turnover figures recorded in TEFAF's 2017 report. The mass market's purchasing power remains the dominate power. According to Hiscox's report, 79% of online buyers have spent less than $5 000 per purchase, and 33% below $500. More and more of the great giants in the auction world are taking advantage of the industry's digitisation, with Heritage Auctions remaining the world leader in the digital field. On the other hand, there are more and more people making their first purchase of art online instead of in a physical gallery or auction. 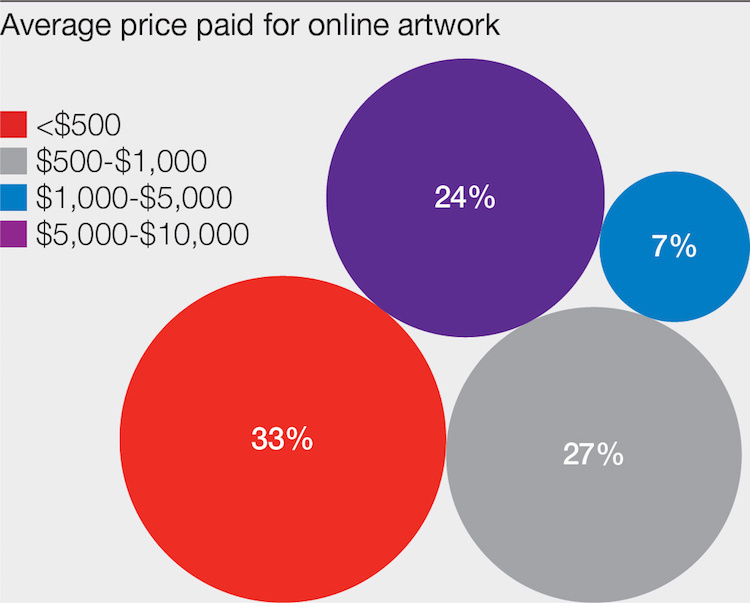 Three years ago, 90% bought their first artwork "physically" while 10% bought via online channels. In the latest report, the figures have been changed to 85% and 15% respectively, indicating there is a particularly strong growth in the younger target group (under 35 years). As buyers increasingly turn to online channels, industry players are hard at finding the most affordable model to find new customers, expand their reach whilst simultaneously retaining their own brand. It's not about being online or not, but being able to both capitalise on both physical and digital platforms.